Heat oven to 450°F. Bake and cool crust as directed on box for One-Crust Baked shell. 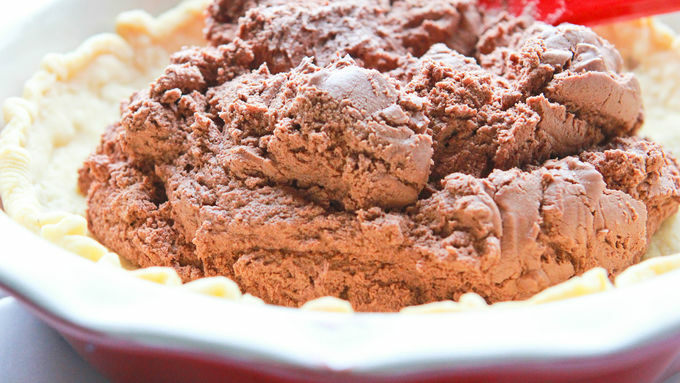 In large microwavable bowl, place milk chocolate chips, dark chocolate chips and 1/2 cup of the whipping cream. Microwave uncovered on High 30 seconds; stir. Repeat until chocolate chips are stirred smooth. Place remaining 1 1/2 cups cream and the chocolate mixture in large bowl. Beat with electric mixer on high speed until thick. Spread in cooled pie shell. Refrigerate 2 hours. Just before serving, set oven control to broil. 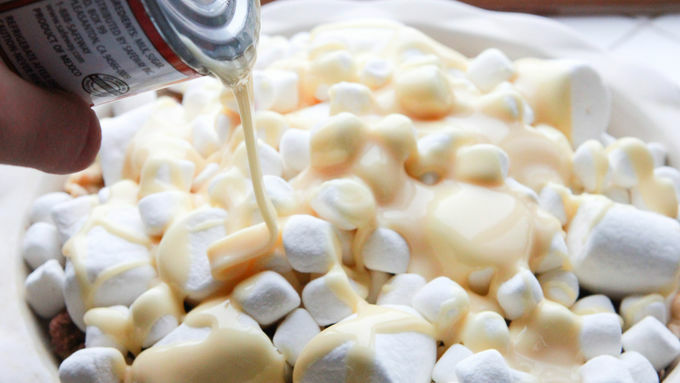 Cover pie filling with large and miniature marshmallows. Drizzle with sweetened condensed milk. Broil with top about 5 inches from heat leaving oven door open slightly and watching so it does not burn. Remove pie as soon as marshmallows are golden brown. Serve immediately. 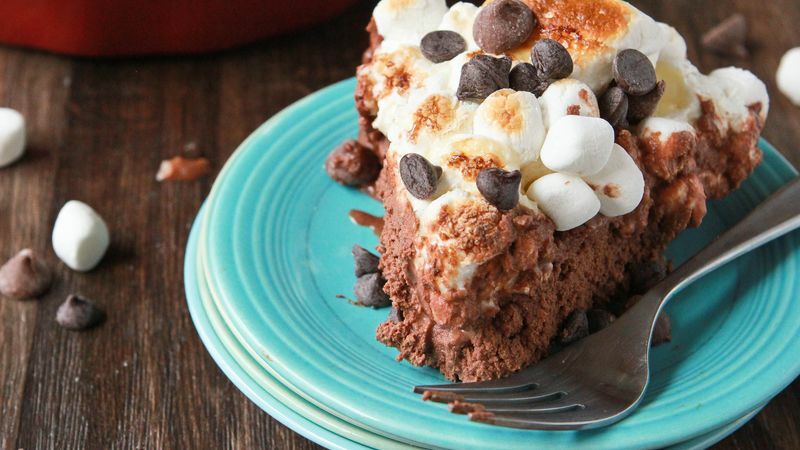 Garnish this pie with crushed graham crackers and extra chocolate chips for that extra "s'moresy" kick! Lend a little bit of sweetness to your pie crust by pressing the edges into sparkling sugar just before baking.